New Syrian banknotes with the face of Syrian President Bashar Assad were printed in Russia in 2015, Duraid Durgham, the governor of the Syrian central bank, told Sputnik on Monday. 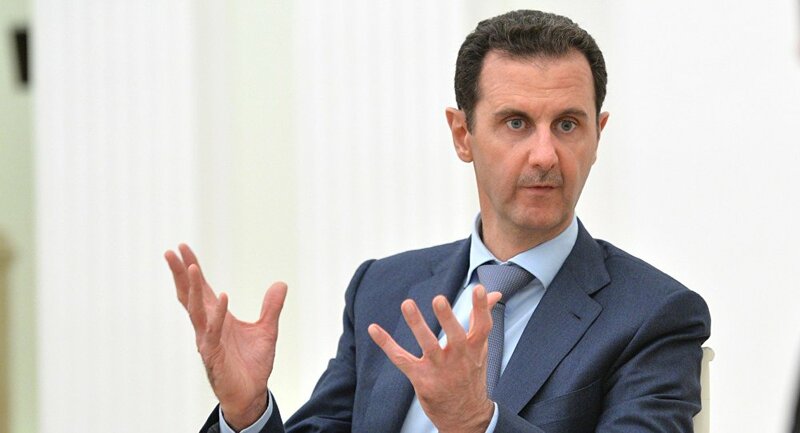 DAMASCUS (Sputnik) — On Sunday, Durgham announced the introduction of the 2,000-pound ($3.9) note featuring Assad, the first notes to depict the president since his inauguration 17 years ago. "The 2,000-lira [another name for the Syrian pound] note was printed in Russia, just like other banknotes in several recent years, and has protective advantages limiting the possibility of currency counterfeiting," Durgham said. The official added that the banknotes were issued in 2015, but their introduction had been suspended in order to wait until monetary policy and the exchange rate would allow for the transfer to be carried out into circulation. According to the bank governor, the face of the president on the banknote does not convey any political message, but it is a statement of the Syrian authorities that the country's economy and currency were in good condition.